The West and Islam—the sword and scimitar—have clashed since the mid-seventh century, when, according to Muslim tradition, the Roman emperor rejected Prophet Muhammad’s order to abandon Christianity and convert to Islam, unleashing a centuries-long jihad on Christendom. 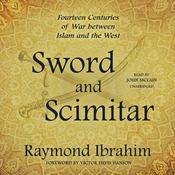 Sword and Scimitar chronicles the decisive battles that arose from this ages-old Islamic jihad, beginning with the first major Islamic attack on Christian land in 636, through the Muslim occupation of nearly three quarters of Christendom which prompted the Crusades, followed by renewed Muslim conquests by Turks and Tatars, to the European colonization of the Muslim world in the 1800s, when Islam largely went on the retreat—until its reemergence in recent times. Using original sources in Arabic and Greek, preeminent historian Raymond Ibrahim describes each battle in vivid detail and explains how these wars and the larger historical currents of the age reflect the cultural fault lines between Islam and the West. The majority of these landmark battles—including the battles of Yarmuk, Tours, Manzikert, the sieges at Constantinople and Vienna, and the crusades in Syria and Spain—are now forgotten or considered inconsequential. 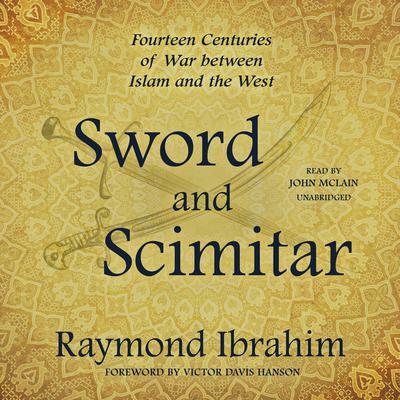 Yet today, as the West faces a resurgence of this enduring Islamic jihad, Sword and Scimitar provides the needed historical context to understand the current relationship between the West and the Islamic world—and why the Islamic State is merely the latest chapter of an old history. Raymond Ibrahim is a scholar of the Middle East and Islam and author of The Al Qaeda Reader and Crucified Again. He has contributed to the Los Angeles Times, Washington Post, Weekly Standard, and the Chronicle of Higher Education; appeared on C-SPAN, Al-Jazeera, CNN, NPR, and PBS; guest lectured at several universities; briefed governmental agencies such as US Strategic Command; and testified before Congress. Ibrahim has been a fellow at several think tanks, including the Hoover Institution, and is currently at the Middle East Forum.